As soon as H.C. “Hack” Jordan finished high school, he went to work building bridges for the AT & N Railroad. 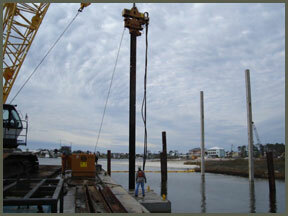 By the early 1940’s, he was in a crew driving piling for the Admiral Semmes Hotel. When World War II began, poor eyesight kept him out of active service, but he supported the war effort by going to work in the shipyards in Mobile and Brunswick, Georgia. Hack saved money in war bonds toward his dream of being his own boss. When the war ended, he returned to his hometown of Toxey, Alabama, cashed in his life savings of $304.72 and started building his first wooden piledriver. 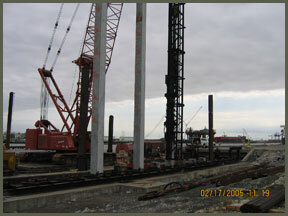 Jordan Pile Driving Inc. is now one of the oldest and most successful companies in the heavy construction industry, and three generations have worked for the company. Continually expanding its scope, Jordan works as a General Contractor and Specialty Sub-Contractor on both marine and land based projects. Chairman, D. R. Jordan grew up in the business, working summers in his father’s Ozark- based company. After graduating from the University of Alabama in 1967 with a degree in Business, he served active duty in the U.S. Army. He later served as an officer in the Alabama National Guard in a tank battalion. D.R. Jordan went to work for the company full time in 1968. In 1976, he moved to Mobile to run a project for the company where it was a subcontractor building the Interstate 10 Bayway. In late 1977, D.R. Jordan became president of the company, and the company has maintained an office in Mobile since then. A third generation of the family, Don Jordan Jr., who like his father grew up working in the family business, now is President of Jordan Pile Driving. 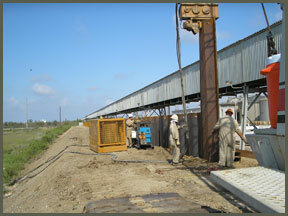 Jordan’s reputation for quality work was built with the help of an experienced and dedicated workforce. The fact that some of Jordan’s employees have been with the company for more than 40 years is a great example of how the company’s commitment to family extends beyond the three generations of Jordan’s who have managed the operation. Jordan also enjoys one of the best safety records in the heavy construction industry. Through years of steady growth, Jordan has never lost site of the basic small business principles of customer service and quality work.